Cold Natural Spray by United Colors of Benetton for Men tingles your imagination with its rich and highly aromatic profile. It exudes an engaging fragrance that bursts forth with elemental essences of bergamot, aldehydes and caraway. Its enticing profile then makes way for the second aromatic wave that includes coriander, lavender and geranium. The base of this United Colors EDT is formed with pungent yet subtle-on-the-senses notes of patchouli, vetiver and white musk. Available in a 100ml flacon, Cold Natural Spray by United Colors of Benetton Eau de Toilette is well-known for its scintillating fragrance ever since its birth in 1997. 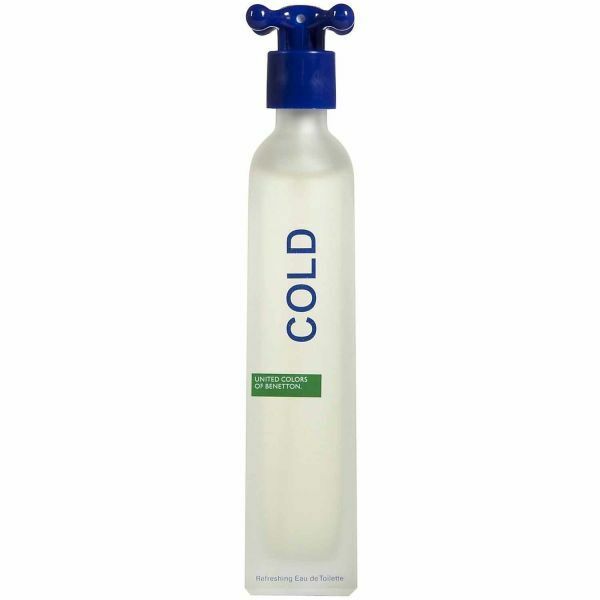 The magic of this Cold Natural Spray EDT starts with top notes of bergamot, aldehydes and caraway. The combination of these rich elements does a number your senses while lending positive vibes, giving you the untapped energy you need to start off even a Monday with weekend’s energy. With the middle notes of coriander, lavender and geranium, this United Colors of Benetton Eau de Toilette makes your presence felt wherever you go. It gives the Cold Natural Spray EDT its long lasting quality while making sure the olfactory senses of those around you are in for a treat. This United Colors of Benetton perfume settles down with elemental essences of patchouli, vetiver and white musk. These subtle-on-the-senses notes help the EDT in highlighting your charming persona in the room. 91.7% of users recommend this product to a friend. The product and its price is remarkably good. Though, I would suggest a system where the items (different supplier) may be delivered in one packaging or in one delivery transaction so that delivery charge is less. The smell does not last for long.